As you read this story, there are approximately 15,000 children in the foster care system of Georgia. Children who have done nothing wrong. Children who are experiencing trauma. Children who need a safe, loving home. Every day in Georgia, more children enter the foster care system; a system that is already stressed and strained by a record number of children. Nearly sixty percent of the children in Georgia’s foster care system must be placed outside of the child’s county of origin, affecting placement outcomes and case plan success. Put simply, Georgia does not have enough foster homes for all the children entering the foster care system. Zenia O’Neil was all too familiar with this situation. As a Georgia teacher with a history of community and social work, she saw children in the foster care system in her own classroom. She saw the hurt in their eyes, she heard their stories of shattered expectations, and she decided she could and would do something about it. 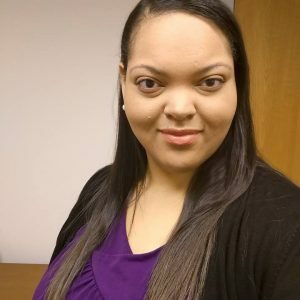 “I’ve always had a heart for kids, but here were children sitting right in front of me every day that deserved so much better, I decided with my background in social work, I could become a foster care worker.” Zenia recently recounted. These ten words caught Zenia’s attention when she first encountered them last year. This statement was ultimately the catalyst for her to join UMCH. After working in community centers, social work programs, schools, and other foster care programs, Zenia decided she could do the most good for Georgia’s children by helping to recruit more foster parents to serve the child welfare system. She longed to find an avenue in the foster care system that would allow her to speak up and bring even more qualified foster families into the system to ensure the best environment for children who are already experiencing troubled home lives. After learning of the mission, she brought her heart and passion to The Children’s Home. A large part of Zenia’s role at UMCH is foster family recruitment, which allows her to help ensure exceptional family placement daily. As a recruiter, Zenia guides families through the process that leads to opening their doors and welcoming children into their homes, a process with which she is personally familiar. Not only does Zenia find loving and nurturing homes for children throughout Georgia, but she offers her home to children, as well. She is a foster parent through her local DFCS office, in addition to her full-time work at UMCH. Over the past year, Zenia has opened her door to five different children in need of a safe and loving home. Zenia is the first to say that fostering isn’t always easy. Like much of life, it’s a journey of ups and downs. “Being a social worker helped prepare me for being a foster family, but even though I work with children and foster parents daily in my career, I am still constantly reminded in my personal life that being a foster parent is challenging and very demanding, but it is also so rewarding.” Zenia has seen firsthand the transformation that happens in a child’s life once they’re welcomed into a safe and nurturing home. Zenia recently fostered a young girl who came to her nonverbal—unable to speak or communicate. After six months in care, the young girl was speaking, and Zenia developed a relationship with the birth mother. In time, and with encouragement from Zenia, this mother was reunified with her children, and they are all doing better than ever before. Although fostering is designed to be temporary, it’s a chance to make a lasting difference in others’ lives. Zenia still connects with many of the families she has worked with both as a foster parent and as a social worker. If you ask her, Zenia will tell you that one of the best parts of her job is being there when a family crosses their “finish line” and step into a hopeful future they didn’t think possible. “What always surprises me about birth families is that they typically aren’t the type of people you see them portrayed as on TV or in the movies. They are everyday people in everyday professions. They just lost control and ended up in a situation that ultimately put their children at risk.” Everyone deserves a second chance, whether a parent or child. They also deserve an advocate to help them fight for that second chance. Zenia and others like her on our team at UMCH are advocates for second chances—for fewer goodbyes—for more joy. Without impassioned individuals like Zenia, fewer children would find the loving homes they deserve. Zenia has eagerly accepted her calling to make a difference in the lives of children across the state of Georgia, and this work extends beyond her nine to five and into her personal life. Her dedication to finding nurturing homes—and offering one herself—has provided hope and healing to countless families and individuals. For Zenia, and all of UMCH’s staff and foster parents, this is more than a mission statement. It’s a personal calling.